Go BIG or Go HOMEcoming! What is better than a beautiful homecoming mum or garter? How about a beautiful mum or garter that gives back to your school and your students? MUMtastic first began as a fundraiser for local high schools and we love sticking to our roots! 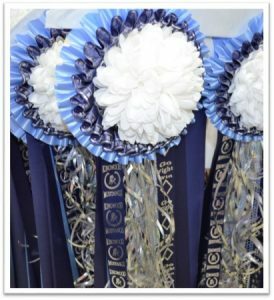 We offer unique fundraising opportunities for your booster club, which includes bulk sales of our retail ready custom mums and garters at a discounted rate. These items can then be decorated and sold by your organization. 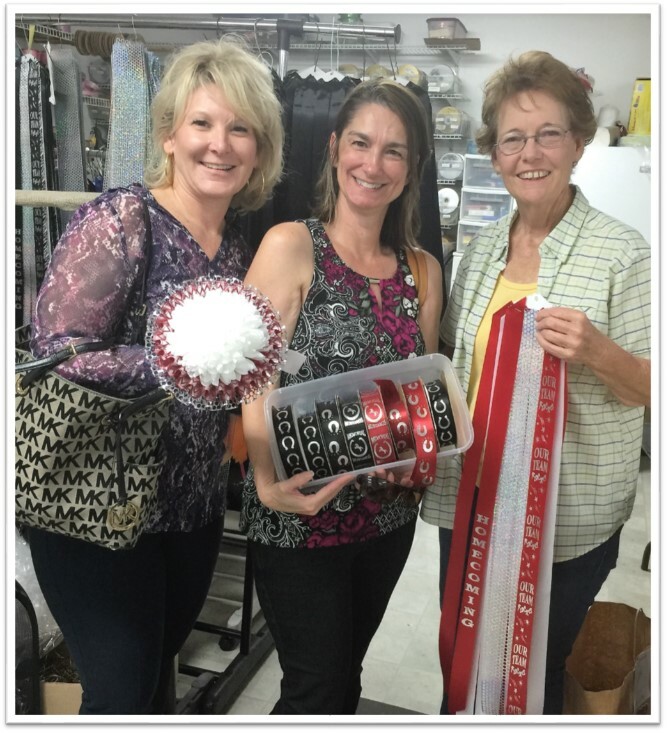 Retail ready mums (pictured left) include a custom backing, custom streamers, custom printed ribbon, silk mums and finished backings. We are happy to work with your group to create the perfect fundraiser. You can decorate each item yourself, or we are happy to do all of the work for your group. Please contact us for more details and more information! The lovely moms from the Memorial High School Drill Team Booster Club stocking up for their fall fundraiser! Go Mustangs!